Let the colours run. Lights out. Give them something to live for. Now established as one of Australia’s finest live acts and at the forefront of its progressive rock scene, September 15th 2017 will see Caligula’s Horse release their fourth record In Contact, an immense conceptual work discussing the nature of art and creativity, a celebration of what connects us as human beings – the shared space across our many differences. Told over four separate chapters, it is an album full of deeply personal stories, characters with their own bittersweet hope and tragedy. This album is yet another leap forward for Caligula’s Horse – steeped in their now-signature ambitious and colourful sound but with a new-found ferocity, In Contact will leave audiences breathless. Formed in 2011 by Sam Vallen and Jim Grey, Caligula’s Horse unleashed their vivid debut Moments from Ephemeral City in the same year. An evocative and powerful unveiling of the dynamic and cohesive songwriting partnership, “Moments” was a commanding charge into modern progressive music: energetic, eclectic, and poignant. Going from strength to strength, The Tide, The Thief & River’s End was released in 2013, and was received with international acclaim. A dark, eloquently woven concept album, the narrative explores isolation, exodus, and the power of the human spirit. The release of “Rivers End” piloted the group to perform with such luminaries of the international progressive heavy landscape as Opeth, Mastodon, The Dillinger Escape Plan, Protest The Hero, The Ocean, Twelve Foot Ninja, and Ne Obliviscaris. In 2015, after signing with the prestigious German record label Inside Out Music, and joining the roster of AMF Publishing in the UK, Caligula’s Horse released their vibrant and emotional third album Bloom. Bloom reached the heights of #16 on the Australian Albums ARIA Chart, and #2 and #7 on the Australian iTunes Metal and Rock Charts respectively. Metal Injection (USA) proclaimed they “evoke a striking amount of greatness”, while PROG Magazine (UK) stated “they are sounding ever more like they just need an arena to fill”. 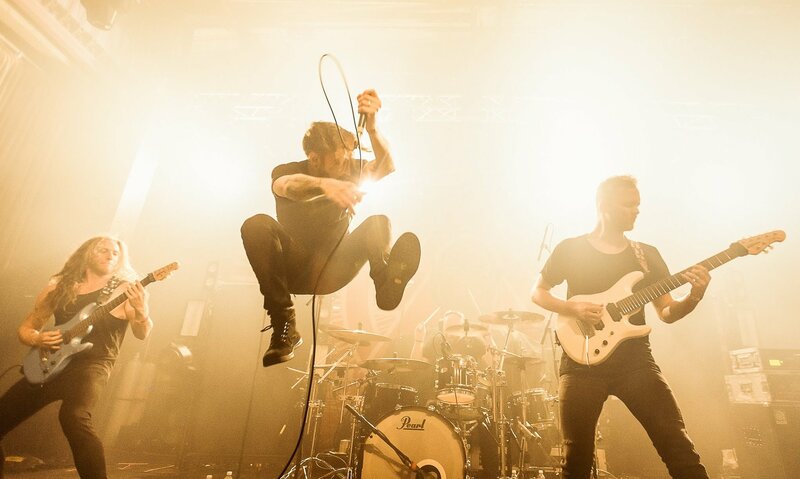 Bloom saw the group embark on an extensive first tour of Europe alongside Shining (Norway), win the 2016 Queensland Music Heavy Award for their track ‘Marigold’, and complete five Australian tours; including national dates with Opeth, TesseracT, and sleepmakewaves, as well as headlining Melbourne’s iconic Progfest Festival. In June 2017, Caligula’s Horse advanced to Europe for a second time; including support slots with Opeth, Anathema and Pain Of Salvation, UK headline shows and festival appearances at Midsummer Prog Festival (Netherlands) and Be Prog! My Friend Festival (Spain). To coincide, Inside Out Music reissued the band’s first two albums Moments From Ephemeral City and The Tide, the Thief & River’s End worldwide. Caligula’s Horse proudly endorses Ernie Ball Music Man strings, guitars and basses, Klotz, Mesa/Boogie, and Fractal Audio.